Igor Volk (tests pilots chief of the Buran program) was at the Speyer museum (Germany) on last 8th May to receive the TM-19 Soyuz capsule and attend an autograph show in the new space building. Posted on: 2010-05-10 under Buran OK-GLI. Here is an interview I had with Igor Volk test pilot of the Buran space shuttle. He was selected in 1978 to become the chief of the test pilot crew of Buran and flew on the space station Salyut 7 in 1984 to test the aptitude of a cosmonaut to pilot the Buran on the way back. 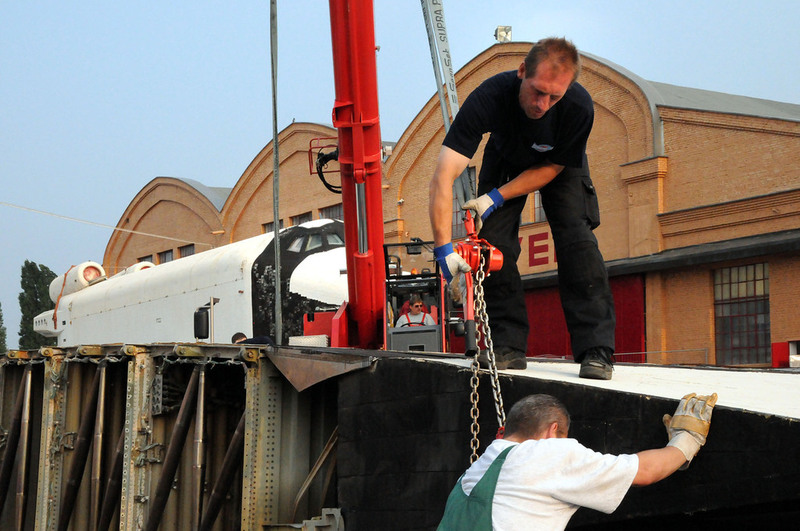 Posted on: 2009-09-22 under Buran OK-GLI, Buran, Web Site. Here is the pictures I took in the Technic museum at Speyer (Germany) about the Apollo & Beyond Exposition. 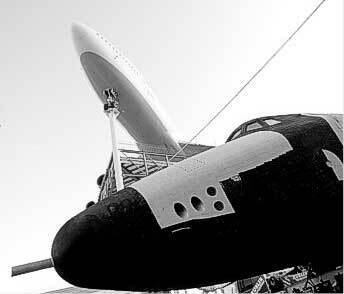 Posted on: 2008-10-11 under Buran OK-GLI, Web Site. Today is the opening of the « Apollo & Beyond » exposition at the Speyer museum (Technik Museum Speyer). This exposition which is about space has to main attraction the OK-GLI shuttle. After lot of troubles (administration troubles) she finally finds a home where she can take advantage of her retirement. I will put pictures as soons as I get back. Pictures of the exhibition I took. Posted on: 2008-10-03 under Buran OK-GLI, Museum. Here is a reporting (cut in 3 parts) about the test pilots of the Buran program, especially the pilots the OK-GLI test shuttle. This reporting was broadcasted on the « Culture » channel on russian television in 2002. Posted on: 2008-09-28 under Buran OK-GLI. The exhibtion Apollo and Beyond which will take place in the Speyer museum in Germany will open on October 2 for the VIPs and the next day (October 3) for everyone. This exhibition will be the occasion to see the Buran space shuttle OK-GLI, which hasn’t participed to such event since 2001. Posted on: 2008-07-09 under Buran OK-GLI, Non classé. 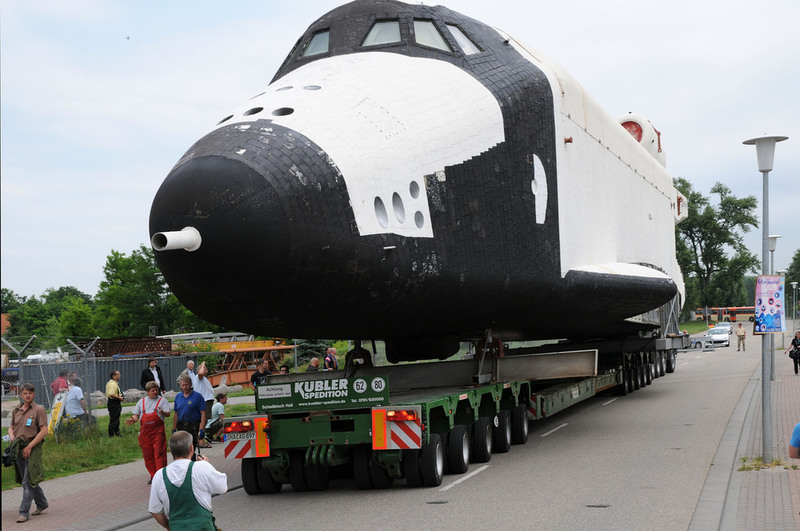 The shuttle OK-GLI was transported yesterday (2008-11-06) to the Speyer museum’s hangar. This hangar will welcome in the next months an exhibition about space and space conquest. The shuttle will be assembled there (the wings and vertical stabilizer were removed), then renovated to become the main part of the exhibition. Posted on: 2008-06-12 under Buran OK-GLI.